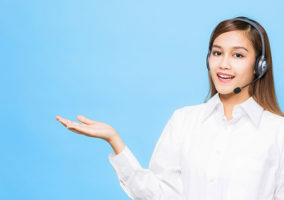 Here are some ways to help improve the call quality monitoring process, suggested by both Carolyn Blunt and our readers. 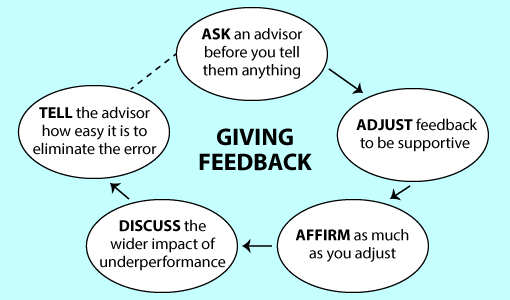 Giving feedback is a vital part of the quality monitoring process, but there is always a risk of upsetting advisors. A common issue in many contact centres is that team leaders simply do not have the time to monitor and give feedback to each advisor on their team, on multiple contacts every week/month. So Carolyn advises removing administrative tasks from team leaders, scheduling 80% of their time to manage their team. This includes more time for quality monitoring as well as developing soft skills etc. However, it is also important to think about how the time away from the contact centre floor is managed. Carolyn worked with a client whose contact centre’s “two busiest days were Mondays and Tuesdays, and those were the days that their team leaders were doing a lot of reporting, meetings etc. A common bugbear for customers is that advisors sound robotic on the phone, yet call monitoring scorecards often encourage this. As Carolyn says, “It disappoints me that certain things that have historically emerged as best practice in the contact centre industry. Things such as tick-box approaches to quality that have statement in them like: “did the advisor say, ‘is there anything else I can help you with?’ at the end of the call. “The problem with that is if it gets to a point where the advisor doesn’t say it, they lose ten points on a spreadsheet and, in a lot of cases, it’s not necessary, or worse, a customer could say ‘well you didn’t even help me with what I originally phoned up for’. 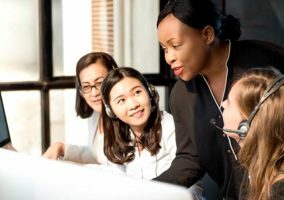 While it’s great for team leaders and call analysts to monitor calls, especially for calibration purposes, it can be of great benefit to the contact centre if there is an environment of self-learning and peer-to-peer discussion. Carolyn suggests “giving advisors the space to say, ‘I want to go on that training course’ or ‘maybe I do need some help with this’, while not waiting for it to come handed on a plate to them. The answer, according to Carolyn, is yes, but only “as long as advisors know what ‘good’ looks like and there is no significant pay/reward at stake. “Otherwise an advisor may think that their call was brilliant and actually it wasn’t, so it is important to understand what the gaps might be. Most people will, if they are encouraged and shown how to, be able to critique their own calls. When monitoring an advisor who is handling a difficult call, it is good practice to monitor and analyse the next call after. This is because, as Carolyn says, “difficult calls can hook emotions. 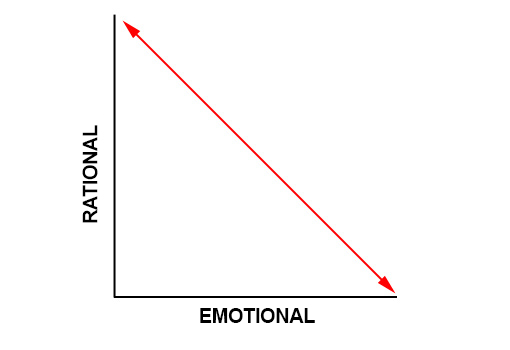 “This is why advisors may need additional time to step back, to allow the rational brain to engage, as the more emotionally involved we get in a conversation, the more our rationality lowers,” as seen below. So if advisors have not fully “unhooked” from the previous call, it could impact upon their performance in the next customer interaction. If this is noticed in quality monitoring, it may be worth allowing advisors extra time for their “rational brain” to recover after dealing with an angry customer. This time should then be added to any shrinkage calculations that the contact centre makes. Quality assessment, coaching and feedback must be balanced, more than anything else. Mention the improvements needed, but, just as importantly, what the advisor did successfully. Integrity is vital, both personally and professionally. Stay neutral, whoever the advisor may be. Do not cut corners. If there are any hitches along the way, note this in the QA feedback. Make it clear to advisor colleagues that you do not know everything. You are there to learn, much as they are. I believe in giving feedback on daily basis, otherwise call monitoring loses its importance and advisors struggle to maintain motivation. In fact, it can be useful to maintain a feedback tracker to monitor implementation of the feedback given to the advisors. This is helpful, as analysts can appreciate the advisors who follow the given feedback. Also, analysts can further their efforts to help work advisors who do not show improvement post-feedback. And, for reporting, it will be harder for a quality analyst to measure the results and determine root causes. So, yes or no scoring is the better option, in my opinion, as long as the guidelines are clear! Some may say that this will demotivate advisors, but the whole purpose of monitoring is to identify opportunities for improvement and to help develop agents, not to penalise. What advice would you give to improve the quality monitoring process? Please leave your thoughts in an email to Call Centre Helper.